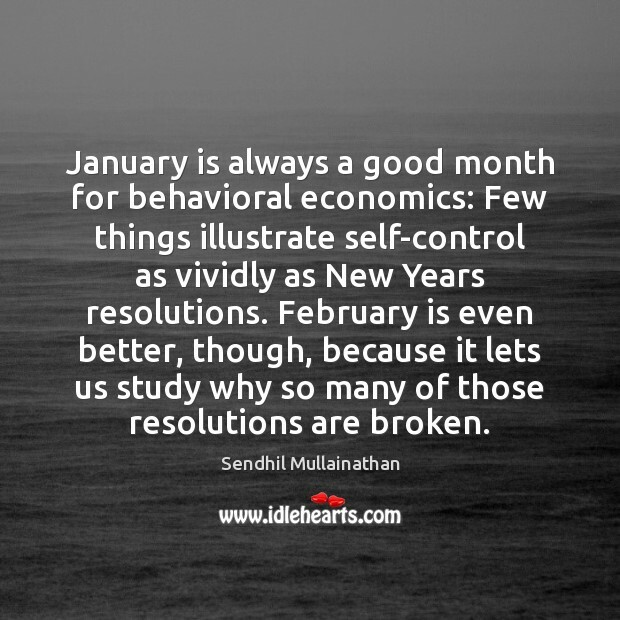 Quotations about Behavioral Economics. Quotes to stimulate mind and drive action! Use the words and quote images to feed your brain inspiring things daily! 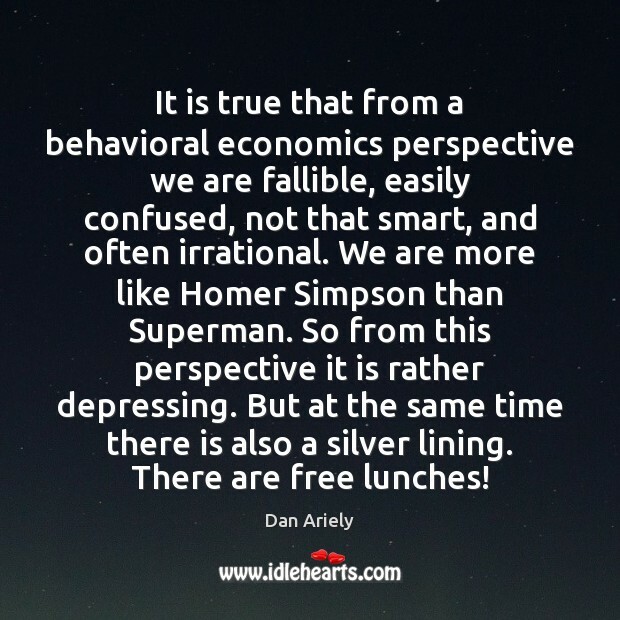 It is true that from a behavioral economics perspective we are fallible, easily confused, not that smart, and often irrational. We are more like Homer Simpson than Superman. So from this perspective it is rather depressing. But at the same time there is also a silver lining. There are free lunches! 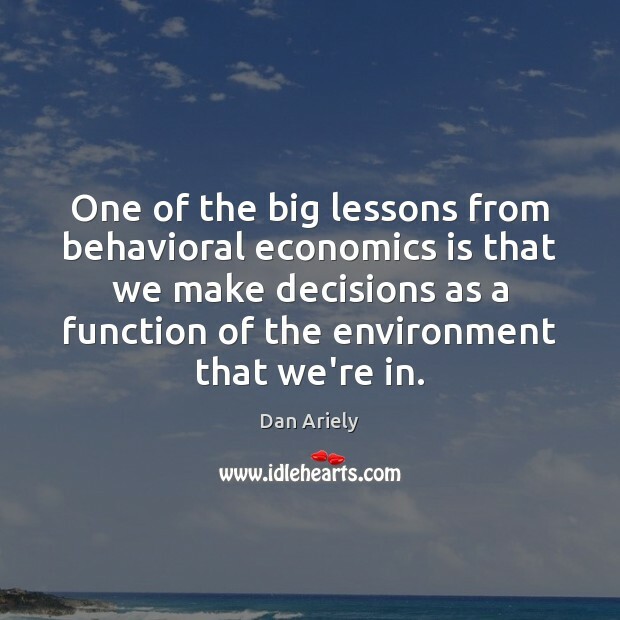 One of the big lessons from behavioral economics is that we make decisions as a function of the environment that we're in. 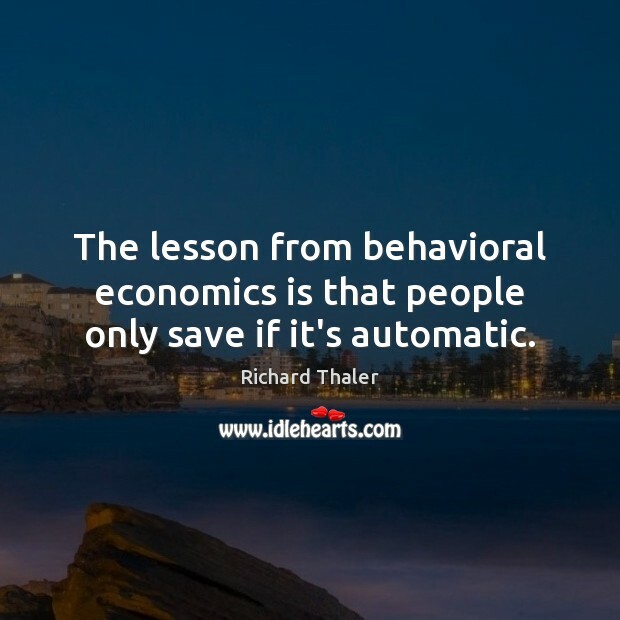 The lesson from behavioral economics is that people only save if it's automatic. 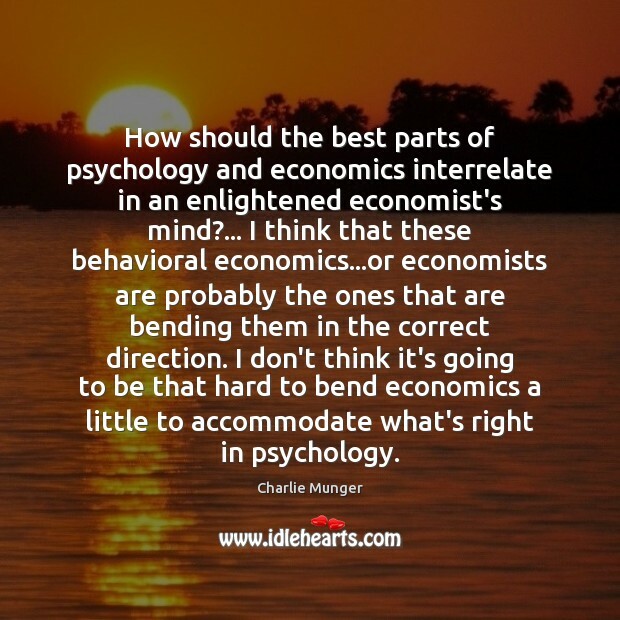 How should the best parts of psychology and economics interrelate in an enlightened economist's mind?... 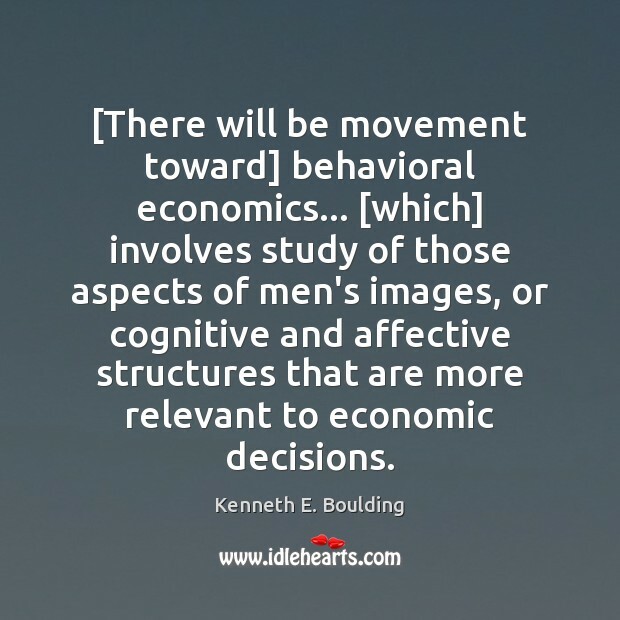 I think that these behavioral economics...or economists are probably the ones that are bending them in the correct direction. I don't think it's going to be that hard to bend economics a little to accommodate what's right in psychology. 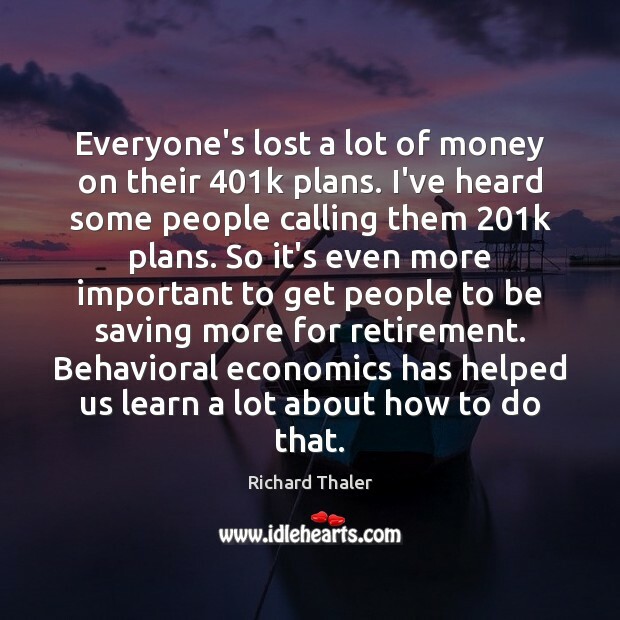 Retirement savings is probably behavioral economists' greatest success story. 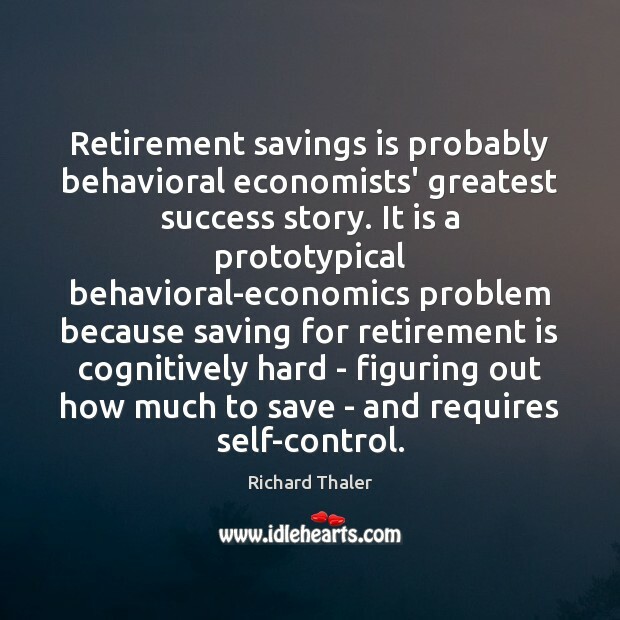 It is a prototypical behavioral-economics problem because saving for retirement is cognitively hard - figuring out how much to save - and requires self-control. 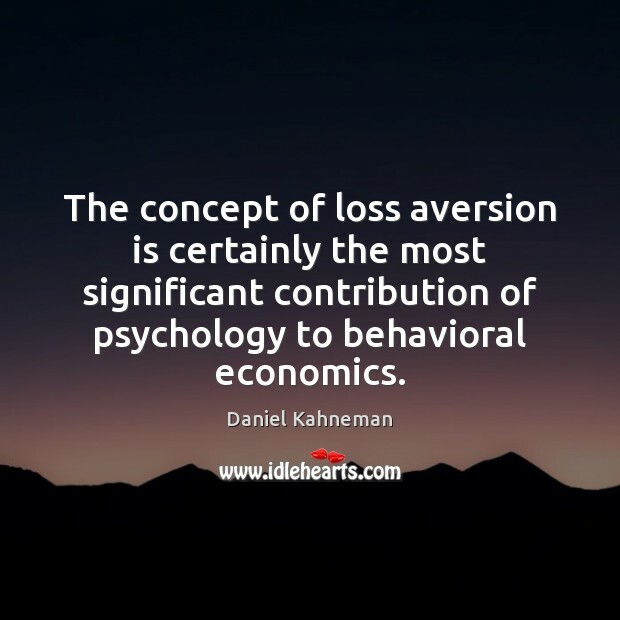 The concept of loss aversion is certainly the most significant contribution of psychology to behavioral economics. 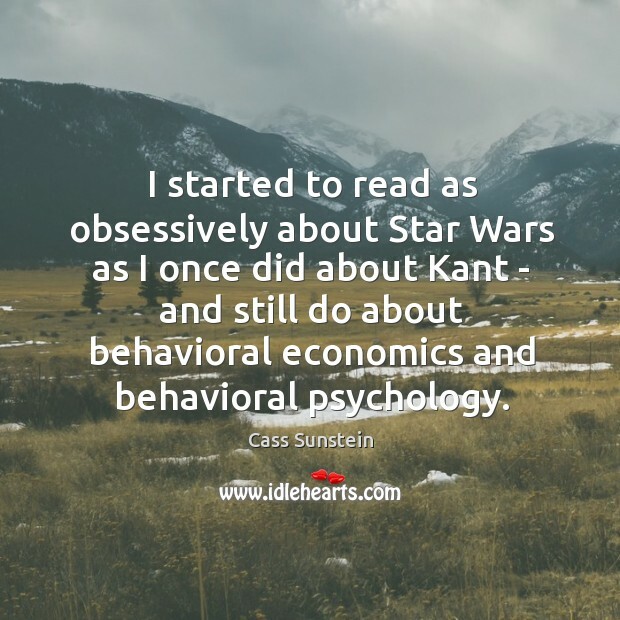 I started to read as obsessively about Star Wars as I once did about Kant - and still do about behavioral economics and behavioral psychology.